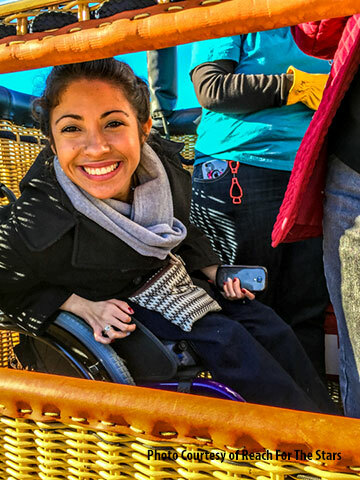 At first glance, hot air balloons don’t appear to be the best choice for wheelchair-users and slow walkers, because passengers traditionally have to climb into the balloon gondolas for their flights. Still, tradition didn’t stop one Southern California engineer from thinking outside of the box and crafting his own accessible gondola. And that’s good news for wheelers and slow walkers, as now everyone can take to the skies and enjoy a hot air balloon flight. 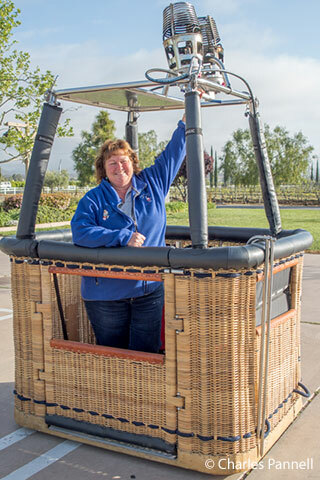 Pat Murphy’s entrance into the arena of accessible ballooning was a bit of a happenstance experience. 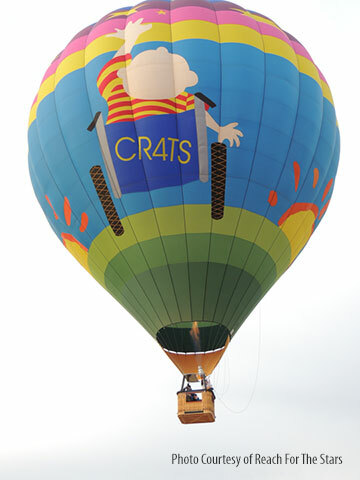 Unlike others who have endeavored to make hot air balloons more accessible, Pat didn’t have a friend or a relative in a wheelchair. What he did have was a passion for hot air ballooning; and that passion led him to share his tethered hot air balloon with the children at Camp Reach for the Sky. Since this was a camp for children with cancer, some of the kids used wheelchairs full-time, while others were just occasionally too weak to walk due to their treatments. The one thing they did have in common was that huge look of disappointment when they found out that they wouldn’t be able to go up in the traditional tethered balloon. Murphy vowed to change that, and he put his engineering knowledge to work to create an accessible gondola. Of course it wasn’t that easy, and it took seven years, with lots of advice and help from his friends and family; but once it was completed he founded Reach for the Stars (www.reach4thestars.org), a non-profit organization dedicated to sharing the joy and excitement of hot air ballooning with everyone. That was 20 years ago. Today Reach for the Stars is still going strong, and Murphy has passed the torch along to Kim and Dave Lynch. Under their leadership, the organization continues to take the tethered balloon to children’s summer camps; and they use money raised from festivals and private balloon flights to help subsidize the charitable arm of their organization. 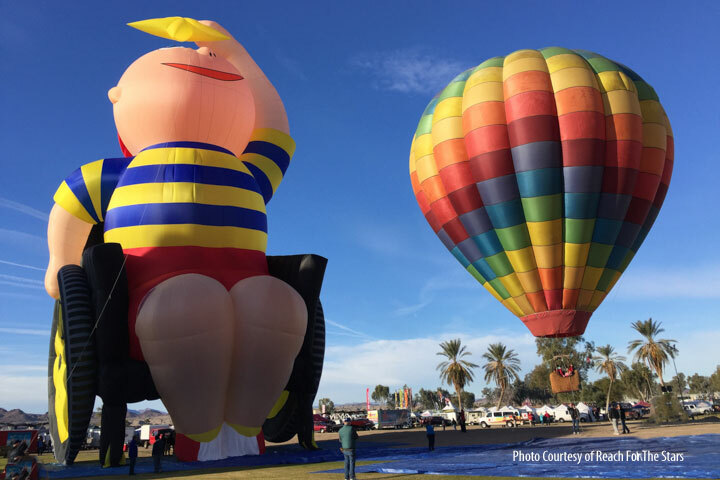 So it’s a win-win situation – children get to enjoy the tethered balloon, and tourists can experience a truly accessible hot air balloon flight. The private flights launch from the South Coast Winery in Temecula, which is about an hour north of San Diego. Accessible parking is available in the large lot, with level access over to the balloon. The gondola has a fold-down door, so manual wheelchair-users can just roll on in. The fold-down door is also a great feature for slow walkers, or people with hip or knee problems, as they can just walk into the gondola. The flights, which depart in the early mornings, usually last about an hour. As an added bonus, the gondola also has a wheelchair-height window cut-out, so wheelchair users can enjoy the view along the way. And with advance notice, arrangements can be made to have a crew member drive the passenger’s personal vehicle over to the landing site. Private flights are priced at $650 per flight, and the gondola can accommodate one wheelchair-user and a companion. It’s really a small price to pay for an experience of a lifetime, and actually a pretty good deal for a private balloon flight.